If you are one of those who like to ride a bike along with a companion and are stuck with a huge set of wheels then you got to have a look at this folding bike which folds up to H64cm x W74cm x D39cm and slides in to a small carrying bag. 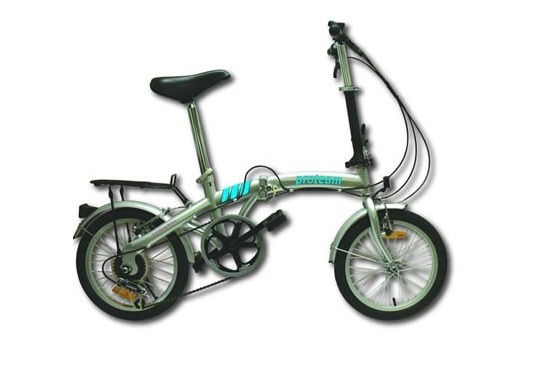 Having the ability to fold, lock and unlock this is a great folding bike for almost all age groups since its saddle and handlebars can be adjusted to extend its length for accommodating children to adult riders. That is why it has been released with a wide comfortable saddle with 16 inch alloy wheels and not to mention it is a 6-speed folding bike with of course 6-speed Shimano gears so it is a complete bike regardless of the fact that it folds down and slides into a carrying back bag. Other Features include positive actions front and rear “V” breaking system, rack for bag or any other case you want to carry along with you, front and rear eco-friendly LED lights that do not require any battery to operate. just like the [wind-up LED lantern], a minute of paddling will produce light for the next 20 minutes. Keep paddling so you never have to worry about fading batteries or carrying backup lights along with you. If you want to get one of these you better hurry up as the folding bike sale might end any time and you would then have to pay additional £50 for this folding bike. And you do not wanna miss this great offer of getting the bicycle. its bag and wind-up LED front and rear lights absolutely FREE. All the parts of this folding bike ship absolutely FREE to UK. 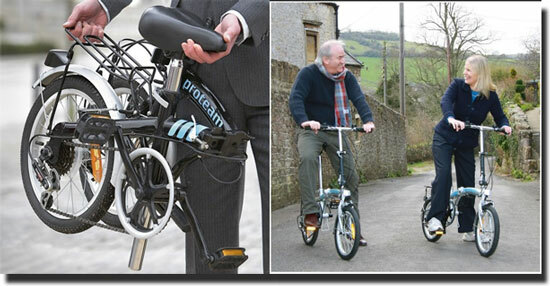 Avail this folding bike sale price from TechnologyInTheHome.